This photograph of South Hall, the oldest building on the Uinversity of Califronia, Berkeley Campus, was presented along with a small brass plaque as a thank you gift to a professor. We used a double preservation quality mat with openings for the photograph and plaque, alon gwith a gold Roma Metro series drawing frame. 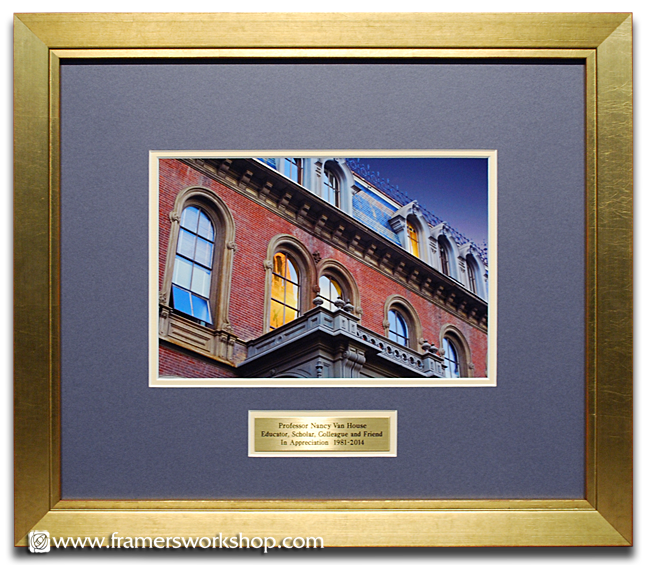 We frame many such gifts for the University and can supply brass plaques and reserach memorabilia to go with the phtograph or certificate.